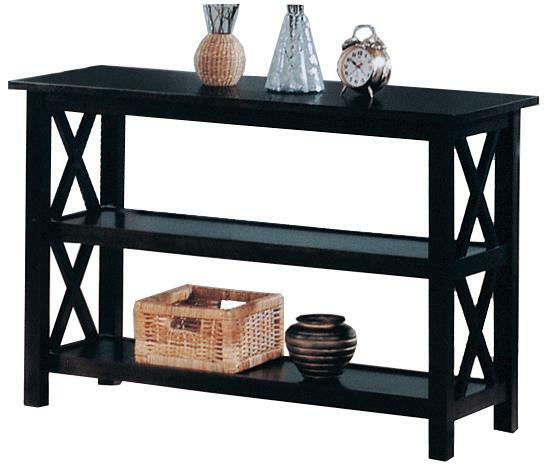 This lovely sofa table will be a nice addition to your casual contemporary living room ensemble. The sleek rectangular table features straight clean lines, with a generously sized top that is ideal for placing decorative items to spice up your room. A fresh "X" motif on the sides gives this table a cool update, while two spacious lower shelves offer additional space for books and favorite decorative items. Available in Burnished Oak and deep Cappuccino finishes, this beautiful sofa table will fit right in with your living room decor. 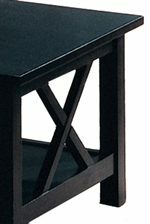 The Briarcliff Casual Sofa Table with 2 Shelves by Coaster at Al-Mart Furniture in the Oak Park, River Forest, Chicago, Elmwood Park, Forest Park, River Grove, Maywood, Melrose Park, Berwyn, Cicero, North Riverside, Brookfield, Lagrange Park, Franklin Park, Norridge, Oakbrook, Elmhurst, Bensenville, Lyons, Stickney, Harwood Heights, IL area. Product availability may vary. Contact us for the most current availability on this product. The Briarcliff collection is a great option if you are looking for Casual furniture in the Oak Park, River Forest, Chicago, Elmwood Park, Forest Park, River Grove, Maywood, Melrose Park, Berwyn, Cicero, North Riverside, Brookfield, Lagrange Park, Franklin Park, Norridge, Oakbrook, Elmhurst, Bensenville, Lyons, Stickney, Harwood Heights, IL area. 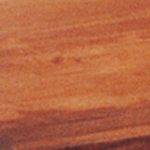 Browse other items in the Briarcliff collection from Al-Mart Furniture in the Oak Park, River Forest, Chicago, Elmwood Park, Forest Park, River Grove, Maywood, Melrose Park, Berwyn, Cicero, North Riverside, Brookfield, Lagrange Park, Franklin Park, Norridge, Oakbrook, Elmhurst, Bensenville, Lyons, Stickney, Harwood Heights, IL area.